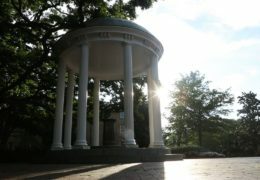 As a first-year student, Elena Watts took a research-based field trip that would change her life and lead her to four years of undergraduate research at UNC. 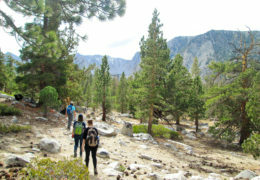 The results of her original work served as the basis for a grant that now funds other students in the geology department. Jared Richards recalls childhood memories walking through the halls of the Smithsonian’s National Museum of Natural History in Washington, D.C. and the awe of all that surrounded him. 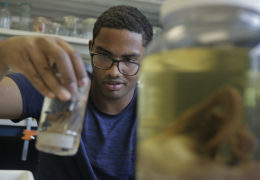 A summer research internship made it possible for the Carolina undergrad to return and contribute to the world-renowned institution. Rising senior Esther Kwon is an undergraduate researcher and recent SURF recipient within the UNC College of Arts & Sciences majoring in biology, with a minor in chemistry. Her research focuses on two different types of histones — proteins found in chromatin — and how they function within fruit flies. 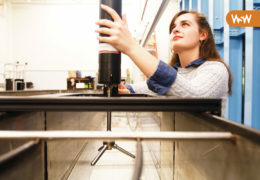 Rising senior Savannah Swinea is an undergraduate researcher within the UNC College of Arts & Sciences majoring in environmental science, with a minor in marine science. Her research focuses on the effects of streambed clogging on water exchange, which she studies in the UNC fluids lab via a racetrack flume. 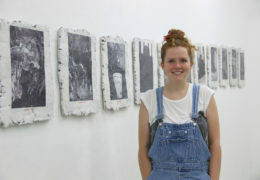 Rachel Noble is the Mary and Watts Hill Jr. Distinguished Professor at the UNC Institute of Marine Sciences. 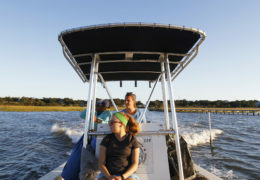 She is also a professor in the Department of Marine Sciences within the UNC College of Arts & Sciences and director of the Institute for the Environment’s Morehead City field site. 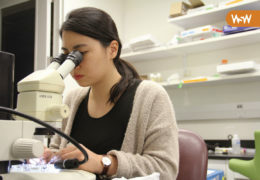 Her research focuses on understanding the abundance and ecology of dangerous bacteria and viruses that are found in the ocean and within seafood. 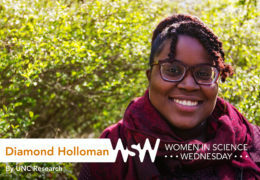 Diamond Holloman is a PhD student in the Curriculum for the Environment and Ecology within the UNC College of Arts & Sciences. Her research focuses on how vulnerable communities recover following major wet-weather disturbances like hurricane flooding. North Carolina's marshes continue to fragment every day. Shelby Ziegler attempts to rebuild them by gathering data from the healthy wetlands that remain — a feat she often tackles in the middle of the night. In the last 50 years, botanists have discovered more than 500 new species of plants across the Southeast. 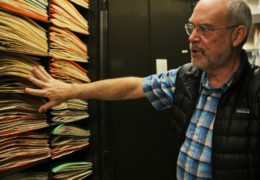 But it takes decades to actually study and record their existence — a feat that the UNC Herbarium has been tackling since its inception in 1908.